The official web version which Instagram offers on desktop is shabby at best, but that probably comes off the back of the belief that a good portion of Instagram users choose to use the service from the dedicated app on their smartphone. 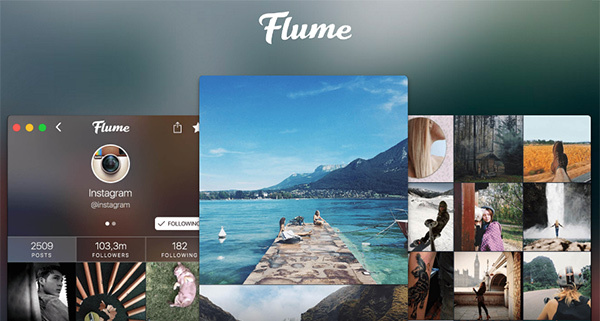 While the first version of this third-party app Flume offered a much better experience on desktop compared to the official web version, but when compared to the latest features found on Instagram’s mobile apps, it left a lot to be desired. 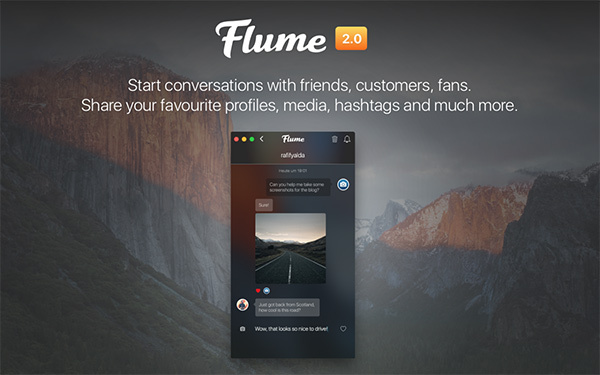 Flume 2.0 changes all of that, thanks to a bunch of new features that extend far beyond just the new-found photo and video uploading capability. Those looking to upload photos and videos directly from desktop can now do so complete with the ability to use frames, the squared photo frame, add tagged locations, captions, and more. Uploading of photos and videos is also quick and easy. 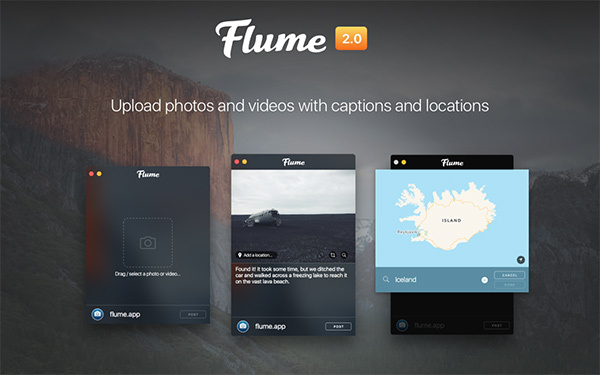 You can “upload photos and videos directly from Finder, or drag-and-drop them right onto Flume”. There is now the added ability to send messages to other users as well thanks to the Instagram Direct support. You can “share media, profiles, hashtags, or upload media directly into a conversation.” The app will now also present curated profile recommendations that can be explored, allowing you to find new users to follow. Perhaps most importantly, Flume 2.0 now supports multiple accounts, complete with Two-Factor Authentication support. You can even set notification preferences individually, which is awesome, considering that some of us do not want to be alerted about each activity. Apart from all the new features, the updated Flume app packs a bunch of bug fixes and performance improvements as well which actually makes the entire Instagram-on-desktop-experience almost as good as the experience on mobile. You can download the app from the link given below. Best of all, it’s free! What the hell is Instagram?